In the wake of the tragic death of a nine-year-old girl, linked by scientists to air pollution, experts are debating how the 'evolving law' in this area can hold public bodies liable for fatalities related to air pollution. Ella Roberta Kissi-Debrah died in 2013 after making 27 visits to hospitals in three years due to asthma attacks. A report from Professor Stephen Holgate based at University of Southampton is being submitted as part of an appeal to the attorney general to reopen an inquest into Ella’s death, after finding a ‘striking association’ between her condition and spikes in toxic air. Subsequently, legal experts have started to debate whether the Government and local authorities can be held liable for death and illness related to air pollution. The environmental campaigners compared the case to events on the continent. ClientEarth pointed out that in France citizens are suing the national government for compensation over the health impacts from air pollution, while in Italy industrial plants are being seized and managers sentenced to prison for the damage caused to the health of the population from the emissions. 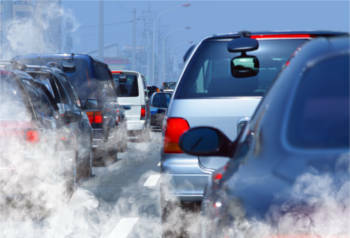 However, Highways spoke to a legal source who said ‘a breach of air pollution limits does not give rise to a cause of action in a civil claim for damages for death or injury sustained due to air pollution’ and therefore they could not see the government or local authorities being held accountable.